Do you own Berkshire’s affirmative action software, balanceAAP? 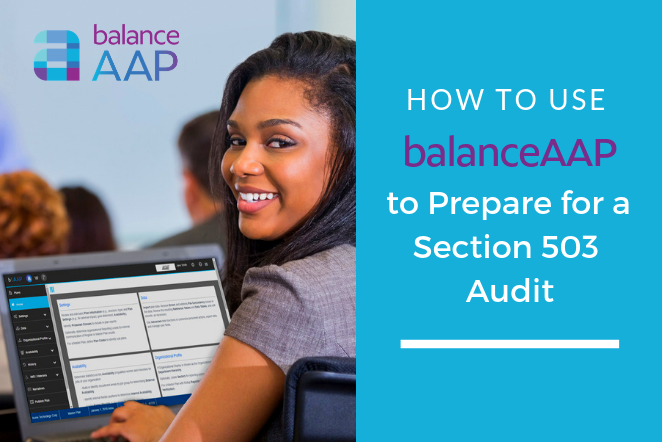 Join two of Berkshire’s affirmative action experts, Sonia Chapin and Sybil Randolph of Berkshire Associates on April 10 at1 p.m. for this Section 503 webinar: Using balanceAAP to Prepare for a Section 503 Audit. Register today and hear presenters review the elements of the Focused Review Scheduling Letter with an emphasis on responding to the letter using balanceAAP. 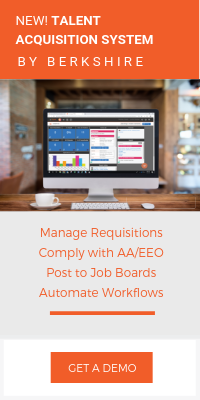 The presenters will review technical tips for generating compliant reports as well as the reports that correspond to each item in the new scheduling letter. 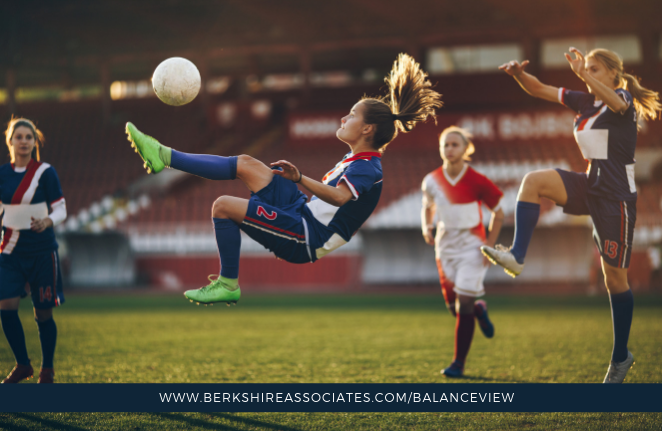 Finally, to ensure your organization is completely ready to respond to the new scheduling letter, Sybil and Sonia will review the information required by the scheduling letter that is not typically included in an annual affirmative action plan. 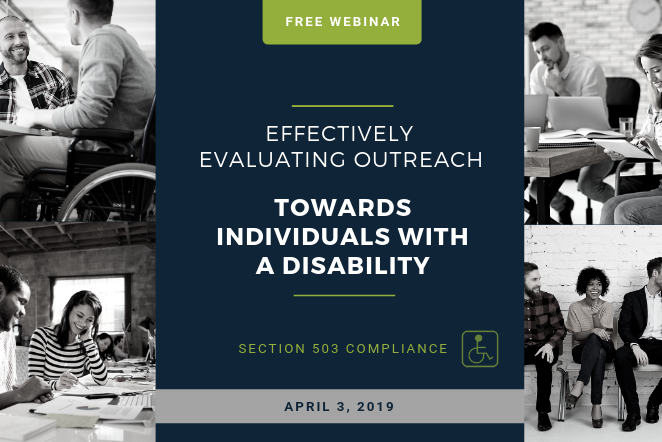 This week’s highlighted Section 503 webinar is Effectively Evaluating Outreach Towards Individuals with a Disability with affirmative action compliance expert Sonia Chapin of Berkshire Associates on April 3 at1 p.m.
As part of the Individuals with Disabilities Affirmative Action Plan, contractors are required to conduct outreach towards Individuals with Disabilities and evaluate the effectiveness of these outreach efforts. 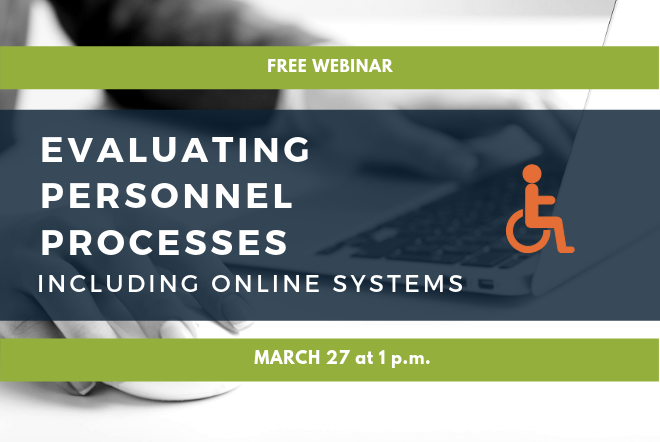 Join Sonia for a discussion of what this requirement means in practice and how it is already being applied in OFCCP audits as the agency increases its focus on contractor’s outreach efforts towards Individuals with Disabilities. Attendees will learn how to best respond to questions about outreach programs during an agency audit. All 28 members of the women’s national soccer team have filed a complaint against the USSF (United States Soccer Federation) due to the federation’s refusal to alter their pay practice. The suit was filed on International Women’s Day and was a follow-up to the action filed by Hope Solo last summer. For more information on that lawsuit, please refer to our previous blog here. 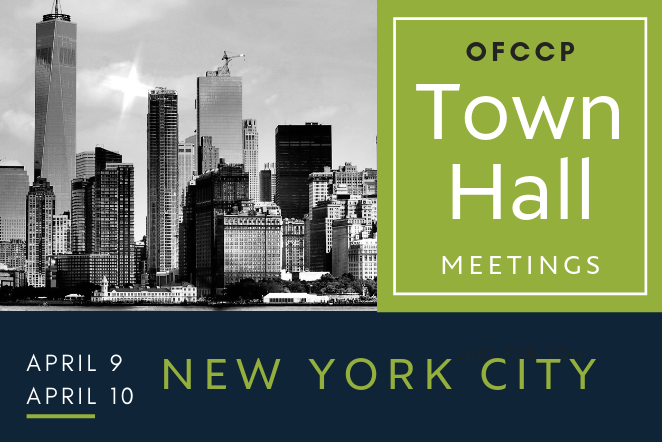 Continuing with the agency’s commitment to transparency, OFCCP announced two more Town Hall meetings to gather input from the contractor community. 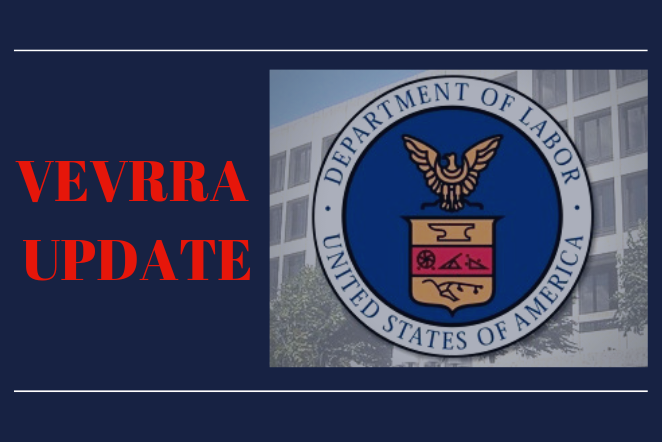 These meetings will be held in New York City and are designed to provide a forum for contractors in the financial and legal industries to provide input to the agency on what is important for the agency to consider as they continue to refine their enforcement focus for 2019. The EEOC opened the reporting site on March 18 as planned—without the Part 2 compensation component—and on March 19 the parties that filed the lawsuit challenging the stay of collection of compensation data were in court asking EEOC to explain why the compensation section was not included in the 2018 report. 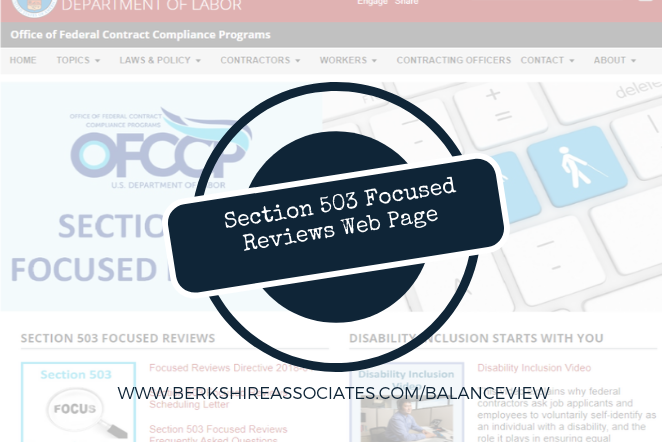 This week’s highlighted Section 503 webinar is Evaluating Personnel Processes, Including Online Systems with Beth Ronnenburg, President of Berkshire Associates on March 27 at1 p.m. Beth will discuss the requirement to routinely evaluate personnel processes and online systems to ensure that equal opportunities are provided to all applicants and employees, regardless of their disability status. Contractors will learn steps they can take to satisfy the requirement, including best practices for documenting evaluations. 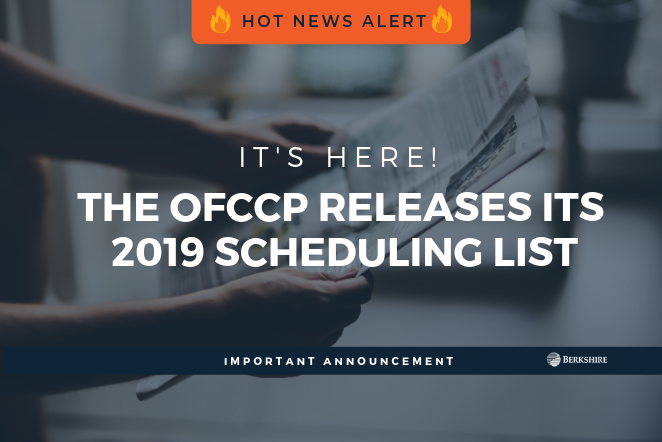 Beth will also discuss questions the OFCCP may ask about this and provide guidance on how to respond to these requests. Register today! 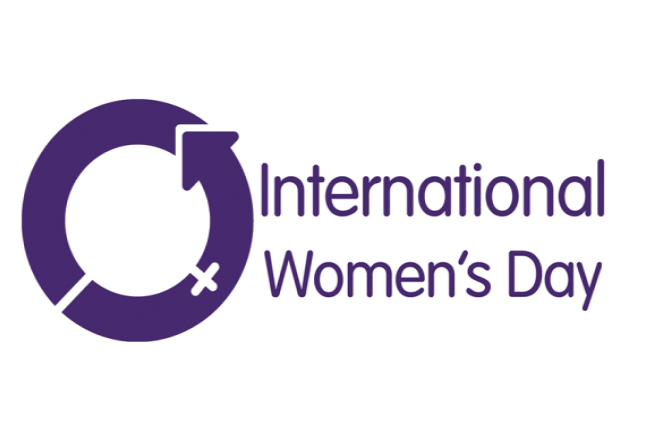 Over the last year, women have made major breakthroughs with many historical firsts.